All fleet for M Group Services businesses is owned, leased, supplied and operated by our dedicated fleet division. 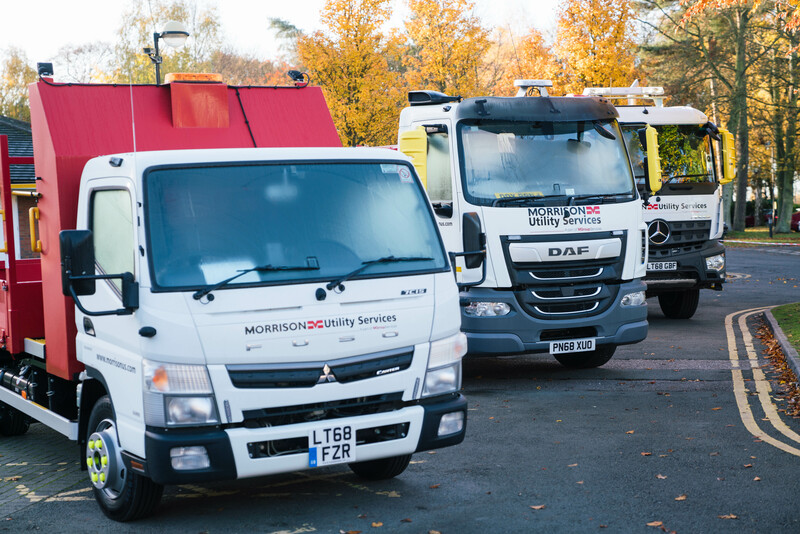 With thousands of vehicles of varying sizes and functions we can offer M Group Services businesses with company cars, branded vans and a whole host of HGVs and specialist vehicles. With over 20,000 thousands vehicles and pieces of equipment, M Group Services Plant & Fleet Solutions offer the group businesses a logistical hub dedicated to the management of their supply chain. Providing management of all fleet topics from hire vehicles, policy and legislation updates, to driving licenses and insurance requirements, congestion / Toll Charging / PCN management & Grey Fleet (own car) control. Procurement, fuel card supply, tailored reporting (fuel dashboard). A suite of reporting information is available to benchmark and promote performance improvement and identify commercial opportunities.